On 30 April 1943, the drowned corpse of Major William Martin washed up on the coast of Spain. In what appeared to be a stroke of grave misfortune for the British, he was found to be carrying top-secret plans for the invasion of Italy. Truth, however, is often stranger than fiction: the plans, as well as the identity of the Major himself, were fake – part of a secret British intelligence ruse called ‘Operation Mincemeat’, which misled Hitler, causing him to divert his forces away from the Allied target of Sicily. Journalist Ian Colvin became fascinated by tales of this audacious scheme and decided to investigate further. His search led him to Madrid, Gibraltar, Seville and finally to a grave at Huelva. The resulting book, originally published in 1953, is a breathtaking account of Colvin’s journey, involving German ex-intelligence officers, Spanish generals, flamenco dancers and even a frogman pathologist specialising in drowned bodies. With its thrilling insights into what turned out to be one of the most successful wartime deceptions ever attempted, The Unknown Courier inspired Ben Macintyre’s bestselling Operation Mincemeat. 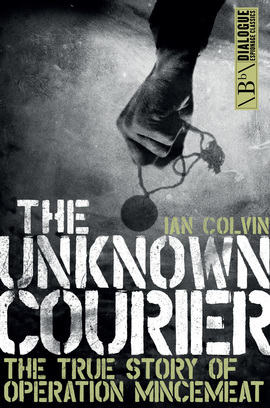 Colvin’s lively account looks beyond the military machinations and considers the mysterious identity of the unknown courier – who was this man who, after his own death, changed the course of the Second World War?